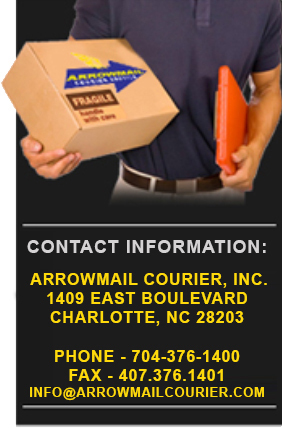 ArrowMail Courier Service offers courier delivery services in Charlotte, NC for items ranging from envelopes, small packages, pallets to specialized medical & pharmaceutical delivery services to hospitals, pharmacies, laboratories and medical equipment suppliers. Our uniformed drivers are courteous, careful, and reliable and are able to handle every situation. Whenever your shipment is ready anytime through the day or night, just call us. Connect with us on Scoop! Connect with us on Diigo! Connect with us on Blogger! Connect with us on Flickr! Connect with us on Gravatar! Connect with us on Tumblr! Connect with us on Google+ Brand Page! Connect with us on Myspace! Connect with us on SoundCloud! Connect with us on WordPress! This entry was posted in Blog on January 9, 2017 by Arrowmail Courier Service.